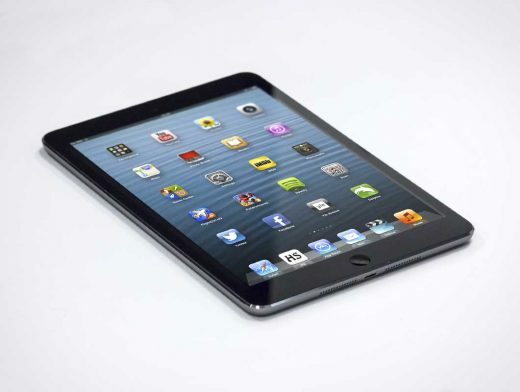 Download this free iOS iPad Mini tablet laying on a flat white surface. This PSD Mockup allows you to render you latest client app screenshots or App Store offering on an iPad Mini LCD screen. Great for marketing your new app, this Photoshop template includes the required Smart Object layers for instantly rendering your design efforts instantly onto this photorealistic iPad Mini.